How extremely fabulous is this headband? I love it. 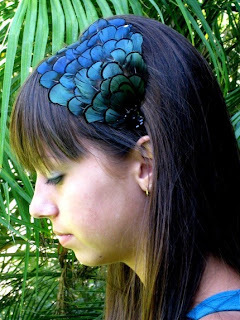 LovMely Accessories has a wide assortment of prettily adorned headbands. This one pictured is $20, but prices vary.